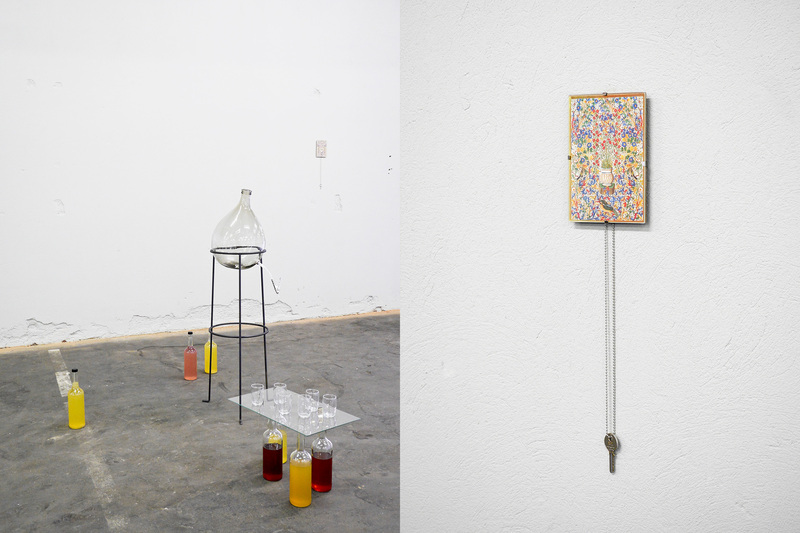 The content of the drinkable sculpture by Eva Engelbert and Christian Hoffelner is a cordial, syrup mixed with water. Picking, cooking, distilling and preserving is created from the wealth of experience found in archaic cultural techniques. The references sources of flowers and herbs were limited to a form of urban development typically found in Graz: the late 19th-century Gründerzeit­­block perimeter structures around the city centre, with large inner courtyards and in part planted front gardens. The ritual of drinking in the exhibition space provides a direct reference to this public or semi-public space. The cordial is a metaphor for diluting and liquefying a place and for alternative ways to directly approach the urban environment.